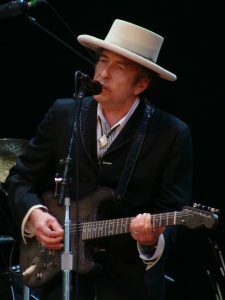 Controversy erupted when the Nobel Committee announced it was awarding American singer-songwriter Bob Dylan, an icon of the 60s generation, its 2016 prize for literature. Did a popular singer such as Dylan deserve the prize? Those with a background in tarot and playing cards, however, understood the prize’s significance in a special way. Dylan’s lyrical poetry had for decades found profound inspiration in playing cards and tarot, whose images, symbols and motifs appear throughout his work. The Nobel Committee has amongst other things recognized the poetic influence of cards and their meaning in global culture. 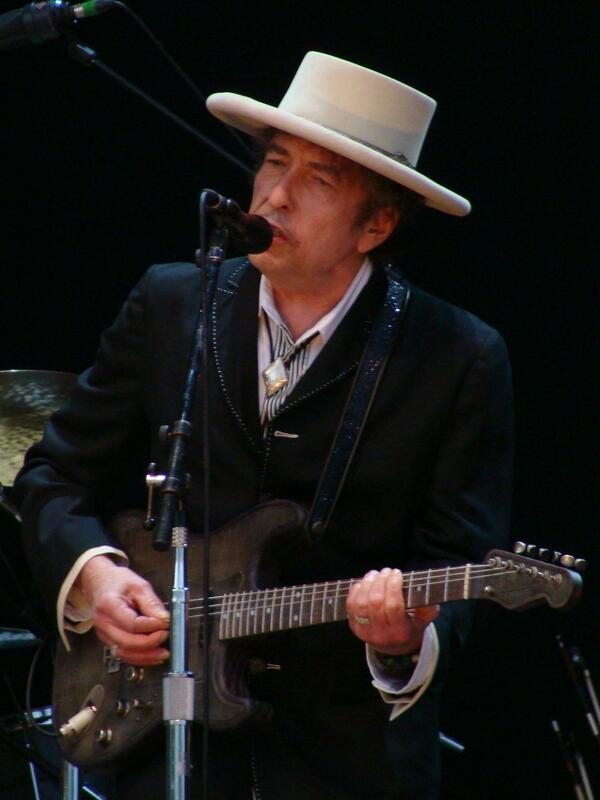 Born in small-town Minnesota, Dylan listened to the radio, especially blues, folk music, gospel and country western. This foundation left him with a life-long interest in spirituality, social justice, and what it means to be a wanderer, a Holy Fool. The tales in these classic American story-songs revolve around people living beyond the bounds of society – gamblers, drifters, the dispossessed. Dylan’s early works emulated these models closely, such as in “Rambling, Gambling Willie.” Originally recorded in 1962, Dylan intended it for his second album, Freewheelin’ Bob Dylan, but it was dropped from the disc. Despite rooting his early use of card motifs in this folksy notion of gamblers, where life is a tragic game of chance ending before you know it, he left this phase of card writing behind. Why? He became exposed to tarot in a serious way in 1964. And tarot came to be the important framework for his poetry. Dylan’s first wife, Sara, came to New York City to model in 1959, which turned out to be a key year for tarot in the USA – University Books published its version of the tarot of A.E. Waite and P. Colman Smith. Sara soon found the Tarot of Waite and Smith, developing a deep, long-term interest. Dylan biographer Robert Shelton, author of the popular “No Direction Home,” notes that Sara had already acquired a strong esoteric knowledge of tarot and magic by the early 60s. And when she became close to Dylan in 1964, she brought tarot into his life. Sara developed a profound, personal connection to the Empress card. Her exposure to the Golden Dawn connected this card to the Egyptian goddess Isis. Rock writer Larry “Ratso” Sloman, author of “On the Road with Bob Dylan,” records that Sara not only wore an Isis pendant of her own design, but constructed an altar for the Empress card. 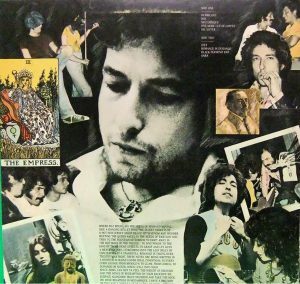 This Empress/Isis connection underlies Dylan’s work. He identified with the Magician, which he believed a psychic portrait of himself, according to Shelton. Dylan connects the Magician with Osiris, setting up an Isis-Empress/Osiris-Magician mythology for his relationship with Sara, through good times. . .and bad. This mythology shows throughout his work. Dylan’s card-related motifs shine most notably on the albums Blood on the Tracks (Rosemary, Lily & the Jack of Hearts, Shelter from the Storm), Desire (Isis, O Sister) and Street Legal (Changing of the Guards, No Time to Think), although they are alluded to in other lyrics too. Dive into his clearest use of Tarot of Waite and Smith, on the 1976 album Desire, written during the wrenching end to his marriage to Sara. The back cover places the Empress of this tarot along with Dylan and Sara. The prose piece mentions the Moon with an allusion to Temperance. This album contains anguished songs around the Isis-Osiris dynamic – the famed “Isis” and “Oh Sister” (Isis and Osiris were soul brother-sister and husband-wife). 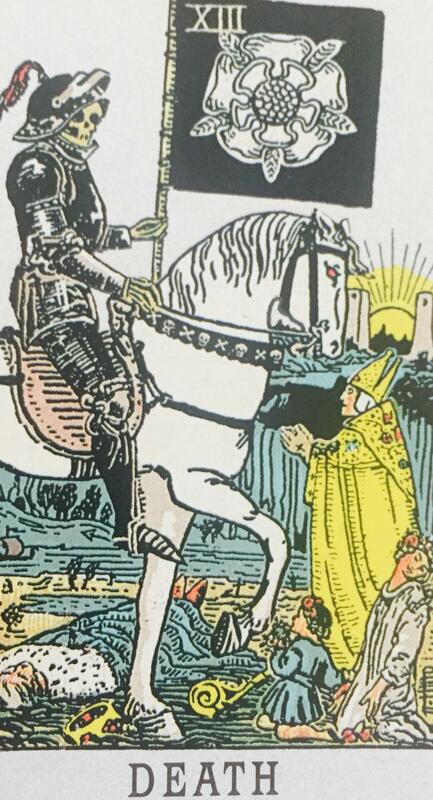 Tarot readers, aware of the motifs of Waite and P. Colman Smith, recognize the Wheel and Tower cards, as well as his pictorial references to common understandings of the 2 of Wands, 7 of Swords, and the Empress again. He weaves these cards into intuitive poetry. “No Time to Think” continues this technique, beginning with the woman and child figures in the Death card: “In death, you face life with a child and a wife,” extending its meditation from there. It updates Ramblin’ Gamblin’ Willie’s theme in a mature form. Dylan’s card motifs leap out to Tarot of Waite / Smith fans, giving a unique appreciation of his Nobel. Please read the linked lyrics and offer your comments on their tarot relationships. Share your understanding with us too! Keine Antworten an "Bob Dylan sings the Tarot"